Get all the best deals, straight to your inbox! This post contains affiliate links. Please read our disclosure policy for more information. Prices are subject to change. Please verify price prior to ordering. 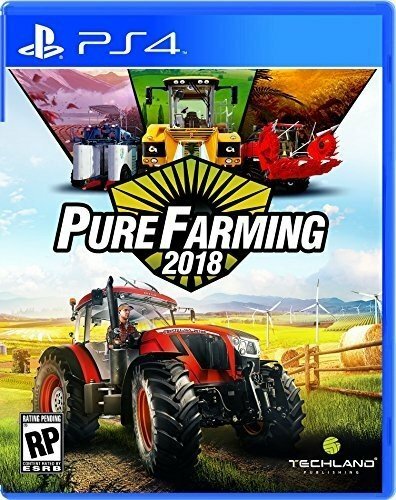 Amazon has the Pure Farming 2018 – PlayStation 4 for just $5.99 (was $39.99). This deal was valid as of 02/08/2019 8:47 am CST. If you do not see the price we have listed, this deal has ended. For easy monitoring, add the item to your cart and watch for additional price drops. Try your hand at almost every imaginable aspect of modern farming, such as animal husbandry, orchards, greenhouses, field cultivation, green energy and more. Drive farming vehicles from industry leaders Zetor, Landini, McCormick, Gregoire, DAF, Mitsubishi and more. Reproduced down to the smallest detail offer a realistic experience of running a farm. Travel between your farms located in Italy, Colombia, Japan and Montana, USA. Grow unique region-specific crops and use dedicated machines never, before seen in farming simulators. Three different games modes for different play styles. Enjoy the freedom and challenge of running your own farm in Free Farming and learn the ins and outs of agriculture in My First Farm. Admire the breath-taking landscapes of four continents and Enjoy realistic, high-quality graphics. Follow Alicia's board Extreme Christmas Savings on Pinterest. As an Amazon Associate I earn from qualifying purchases.Copyright ©2019, Extreme Christmas Savings. All Rights Reserved.